Comments: This image was my first after making a number of changes to my telescope and guiding setup that included new guide rings, latitude adjustment levers and also mechanically adjusting the DEC backlash on my mount. I was pretty happy with the outcome and although there was still a little movement between the frames it was a lot better than previous. I was able to use all the frames I acquired. The image is a little noisey due to FULL moon and warm summers night and fact that I only took 4 darks. 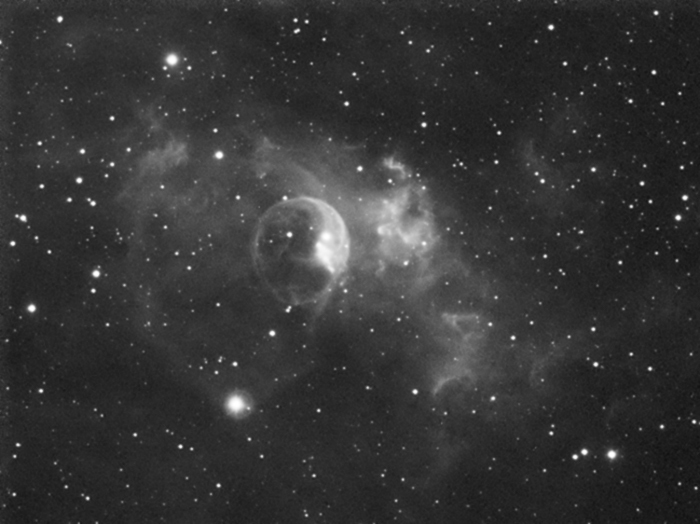 The outer nebula shows well and is a lot better than my previous efforts at this object - see 2007 and 2006 archives.